In just a few short weeks, we’ll be celebrating Thanksgiving with friends and family. We love to entertain around the holidays and when it’s our turn to host, our shopping list can become quite long. Other than the turkey, stuffing, potatoes and pies, there is one other essential that we never ever forget — the wine! 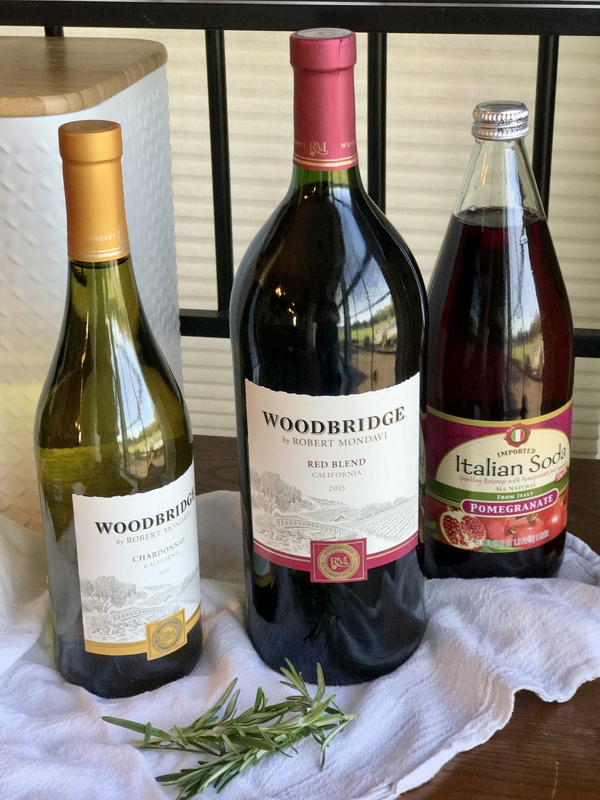 Today I went shopping for Woodbridge wine, namely their newest Red Blend which is the perfect pairing for a rich and flavorful turkey dinner. This new blend offers warm, toasty aromas and flavors, including jammy blackberry, vanilla, and baking spices. It’s full and rich with a long, flavorful finish. Woodbridge by Robert Mondavi wines have been crafted for over 30 years in the Golden State of California. These classic wines are as delicious as they are budget-friendly. You most definitely do not have to break the bank to enjoy wonderful wine, and Woodbridge wines are the perfect examples. When we host a dinner party, I love to create a signature drink for our guests. This Winter Berry Red Wine Spritzer is flavorful and refreshing combination of Woodbridge Red Blend, Italian soda and frozen fruit. I love to serve it mule-style inside my favorite copper mugs because they keep the drink perfectly chilled and delightfully bubbly. 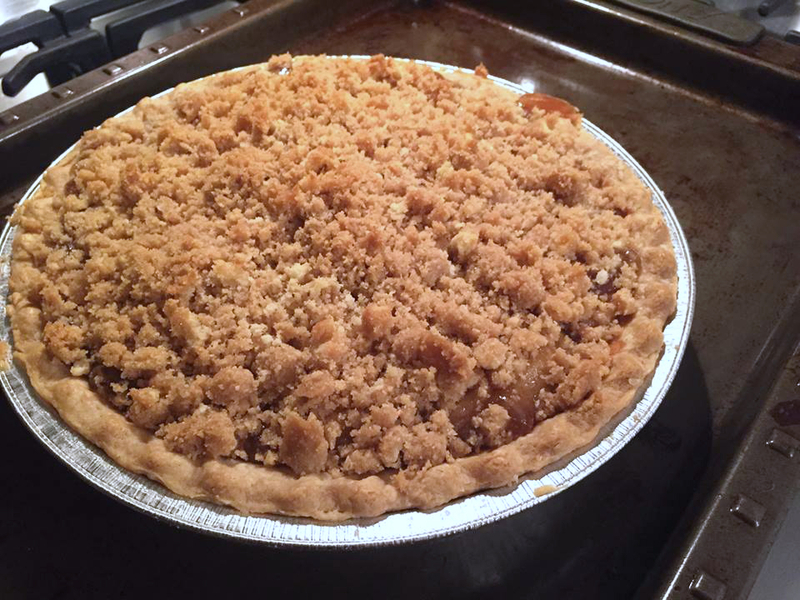 It’s perfectly festive and delicious and will set the tone for upcoming holiday dinners. 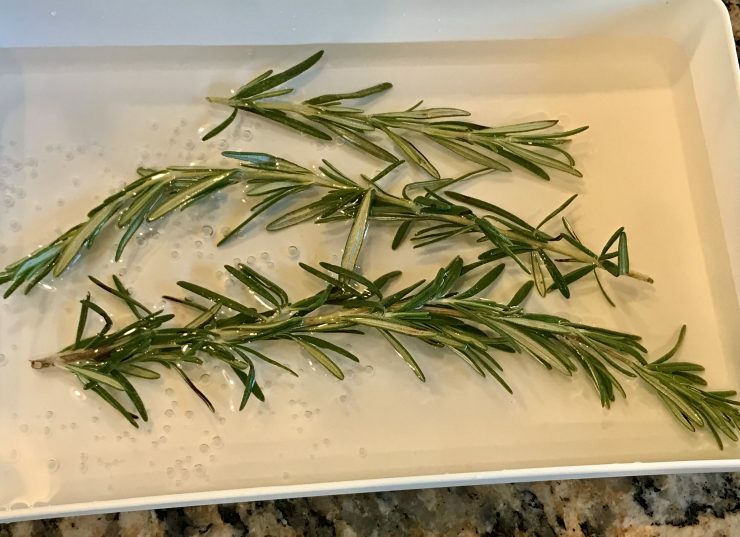 You could skip the sugared rosemary but they look like snow-covered glistening trees, so why would you want to? They’re super easy to make: Just dip each sprig into water, then sprinkle with superfine sugar and lay flat to dry on wax paper or parchment. What I love about this cocktail, as with most of the recipes we feature here is that it is fuss-free. Typically the holiday dinners we host include upwards of 20 guests, so I’ll take easy when I can get it. I love to roast my Butterball whole turkey after I’ve done a quick seasoning and stuff it with fresh herbs. 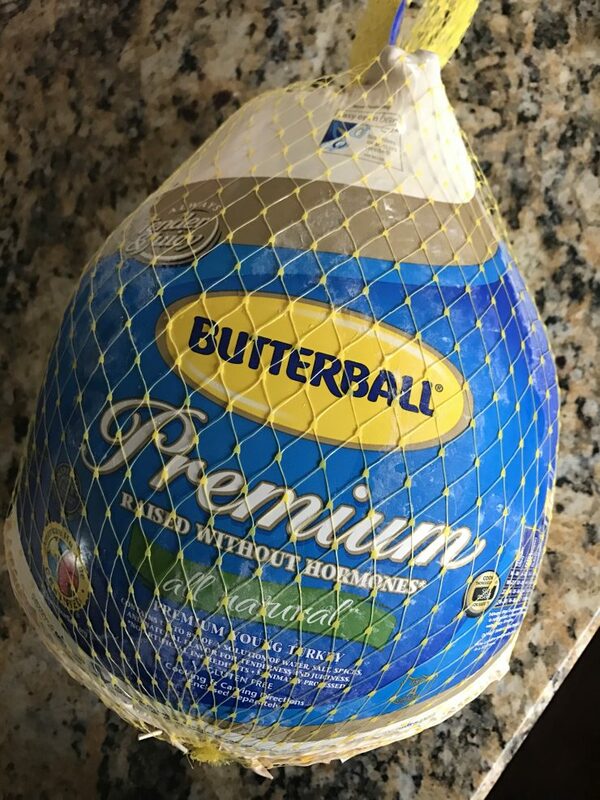 Butterball turkeys don’t require a lot of fuss because they are all natural birds the highest quality. 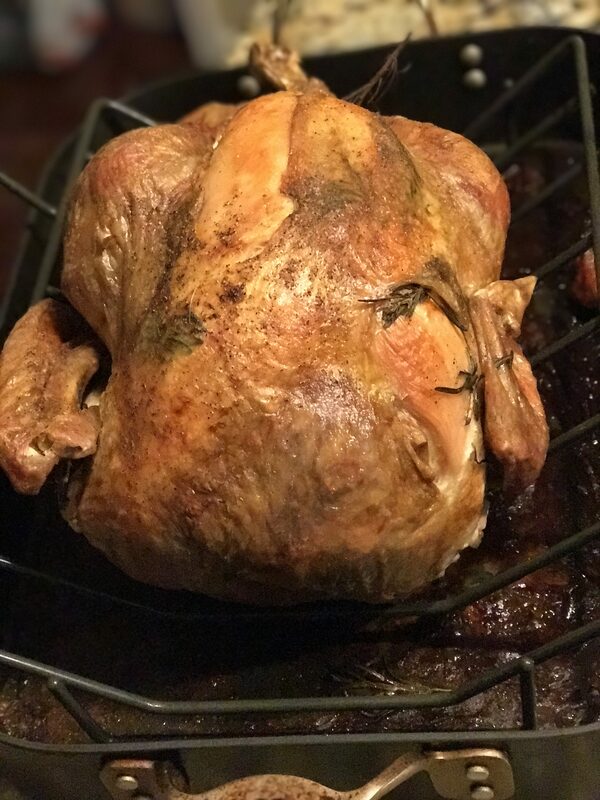 Plus, if I have any questions while prepping my turkey, I can call (1-800-BUTTERBALL) or text (844-877-3456) the Turkey Talk Line with any questions! Another item that does not require fussing? 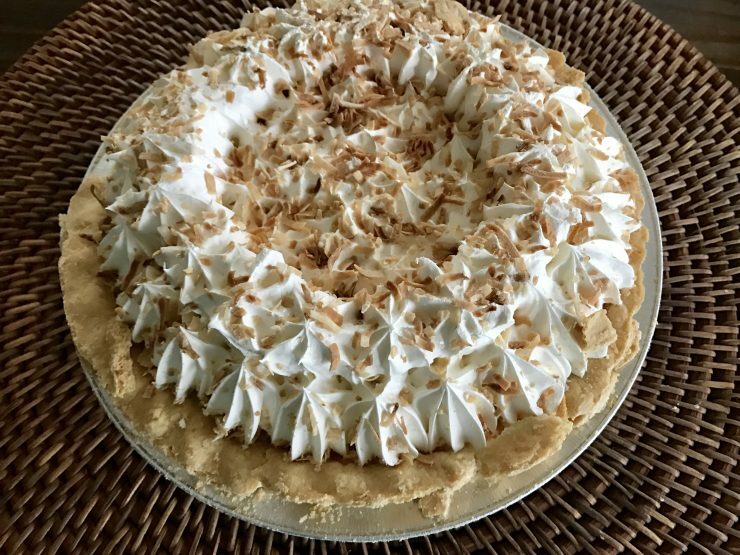 Marie Callender’s Dessert Pie is so tasty that it will pass for being homemade – just dispose of the packaging and no one will ever know you didn’t slave over that buttery pie crust! I don’t shop without one of my favorite phone apps, Shopkick. Sign up and earn free gift cards while you shop! 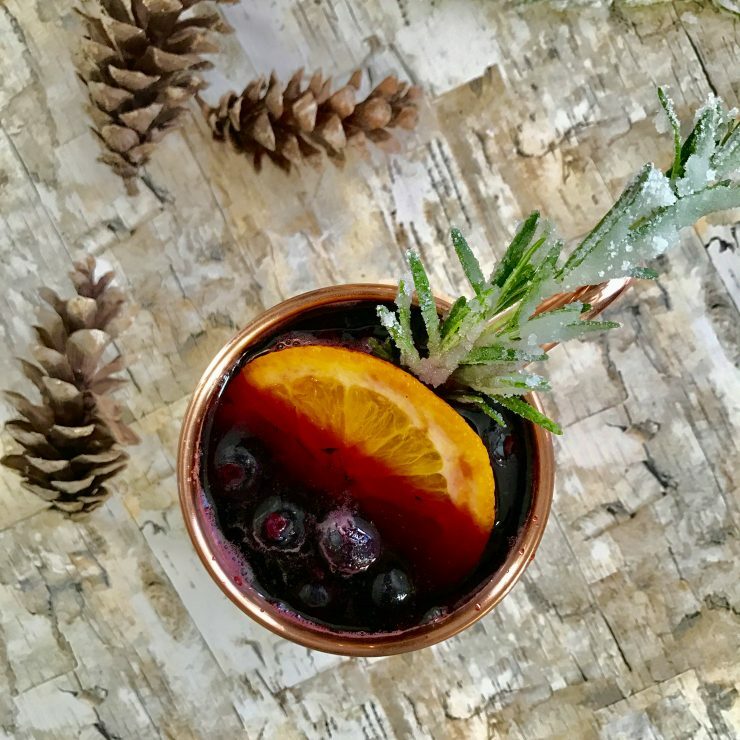 Flavorful, refreshing and perfectly festive wine cocktail - perfect for the holiday season. 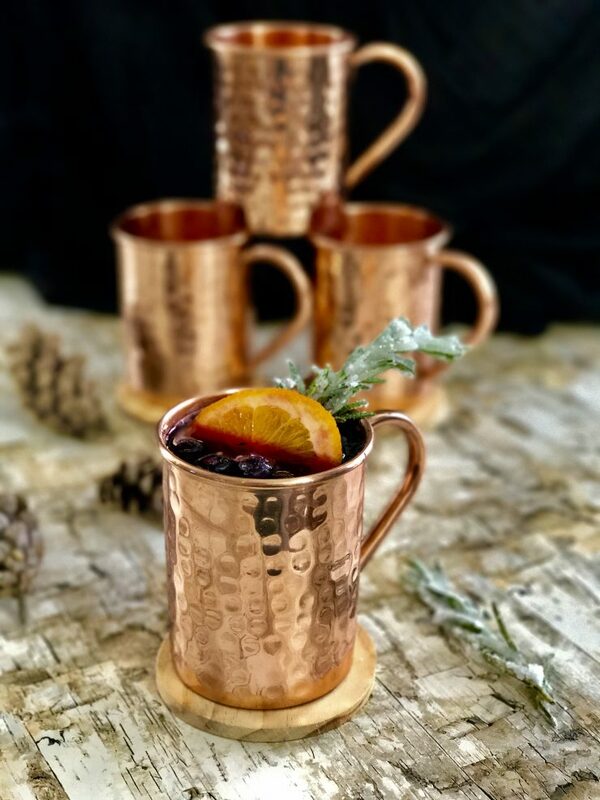 Pour liquid ingredients into a copper mug and stir. Drop in 5 or 6 frozen berries and a frozen orange slice. 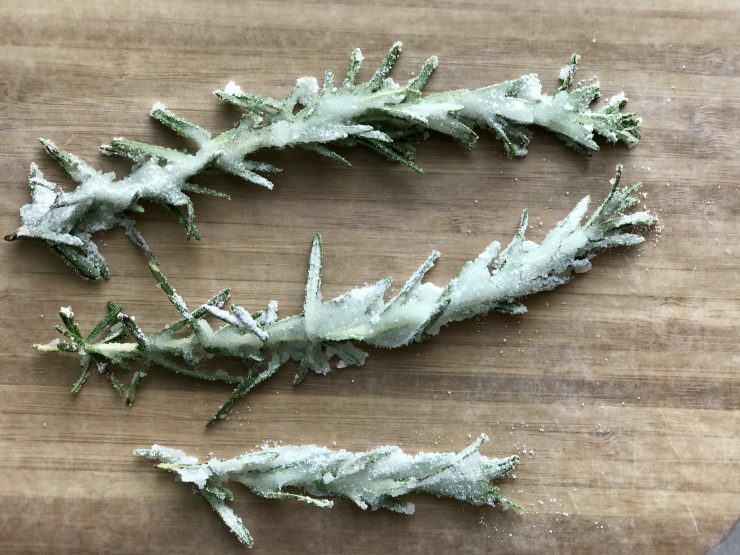 Garnish with sugared rosemary for festive winter style. This is such a festive and delicious looking cocktail!! What a wonderful feast and a festive drink to serve along with it. Thanks for sharing.